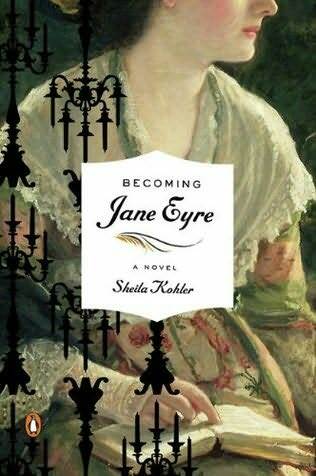 I count Jane Eyre as one of my all-time favorite books, so I was excited to hear about this fictionalized account of Charlotte Bronte’s life and what inspired her to write Jane Eyre. The story looks at all the Brontes and offers a unique perspective on the world in which they were raised and the efforts they made to try and make names for themselves as writers. The book starts out shortly after their father has had eye surgery. Charlotte has gone away with him and is keeping him company during his convalescence. It is while this is taking place that she has the time, the space, and the inclination to create a story revolving around a young woman named Jane… A story that has direct ties with Charlotte’s own life and experiences. If you appreciate historical novels (particularly those set in late 19th century England) you might enjoy this title. Fiction · Gwen B · Quick Read! I’m a big fan of Danielle Steel books. I happened upon this one at the St. Charles County Library Book Fair that was held a few weeks ago. I could not believe I had not read it, seeing as I’m a fan and try to keep up with what she’s written. Shame on me! It looked like it would be a nice summer read and it proved that it was. Danielle wrote this during her early years of writing. It was written in 1996. This was her thirty-third book. 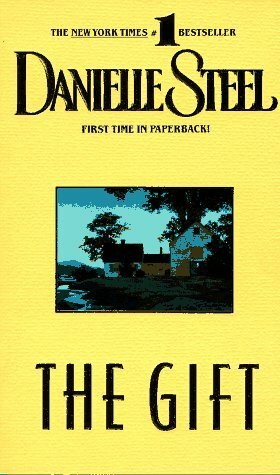 The Gift is a magical story told with stunning simplicity and power. It reveals a relationship so moving it will take your breath away. And it tells a haunting and beautiful truth about the unpredictability and the wonder of life. I loved the innocence of the characters and how they all came to love again after awful things happened to them. I couldn’t stop reading it once I started. I can count it as one of my favorite Danielle Steel books. If you’re looking for a quick, easy, enjoyable summer read, I would definitely highly recommend it. 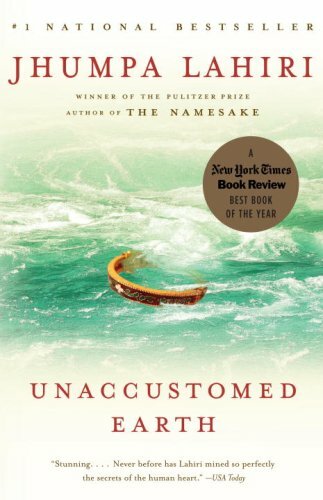 I think Jhumpa Lahiri is a wonderful writer – I enjoyed reading Interpreter of Maladies, her first collection of short stories, so I was really excited when I saw this audiobook available at the public library. Unaccustomed Earth is a collection of 8 short stories that all revolve around family relationships and the strains/differences between parents and their children. Lahiri tackles the cultural differences that are present when parents who have moved from India to the United States are faced with children who seem to want nothing more than to be Americanized. Lahiri really draws the reader into each story. The audiobook was read by two actors (Ajay Naidu [from “Office Space”] and Sarita Choudhury [from “Mississippi Masala”]), which helped add a different dimension as each story was read. I’d definitely recommend this to anyone who appreciates family-centric short stories. If you saw and enjoyed The Namesake (which was based on a Lahiri novel), check out either of the short story collections mentioned in this post – they won’t disappoint. Eve Duncan’s mission in life is to bring closure to the families who have experienced the agony of a missing child. As a forensic sculptor, she is able to piece together bones, create a face, and bring an identity to a child who would have otherwise gone unidentified…maybe forever. Eve is brilliant, and driven, and tormented—because her own daughter, Bonnie, was taken from her years ago. And Eve has never discovered what happened to her. But now a name from the past resurfaces, thanks to CIA agent Catherine Ling who knows all too well what it’s like to lose a child. After teaming up with Agent Ling to find her missing son, Eve and Catherine share a bond forged by their mutual pain. Now, Catherine challenges Eve with a name: John Gallo. A man from Eve’s past. A man, seemingly raised from the dead, whose whereabouts are unknown. Could Gallo be the missing piece to the puzzle that has haunted Eve for years? Why was he in Atlanta just before Bonnie’s disappearance? 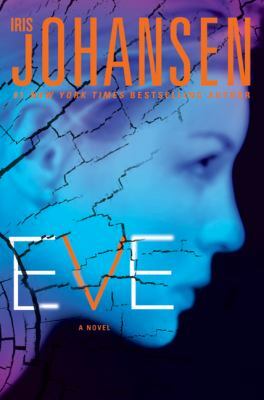 With a brilliant narrative that goes back to Eve Duncan’s early life, exploring her history and motivations like no other novel before, Eve reveals long-guarded secrets and is guaranteed to leave Johansen fans panting for more—soon to come in Quinn (October 2011). I’m a big fan of Iris Johansen, and she did not disappoint with this one. Her Eve Duncan series is awesome!! Start at the beginning and don’t skip a book. Things happen quickly. There are twists, turns, and eye-opening surprises. Johansen’s storytelling draws you in step by step until you are as entrenched as Eve in working to find her daughter and the killer who stole her. Eve was very suspenseful. It’s a real page-turner and I had a really hard time putting it down. Watch as each character grows and each step leads them and you closer to an answer. Keep reading about a woman of determination. I hope you enjoy this series as much as I did. At the end of the book, it left you wondering what was going to happen next. I thought this was one of her best books – and I have read them all. I flew through it! The next one will be out in July and I can’t wait!! Linda Davis’s local fabric shop is a place where women gather to share their creations: quilts commemorating important events in their lives. Wedding quilts, baby quilts, memorial quilts — each is bound tight with dreams, hopes, and yearnings. Now, as her only child readies for college, Linda is torn between excitement for Molly and heartache for herself. Who will she be when she is no longer needed in her role as mom? What will become of her days? Of her marriage? Mother and daughter decide to share one last adventure together — a cross-country road trip to move Molly into her dorm. As they wend their way through the heart of the country, Linda stitches together the scraps that make up Molly’s young life. And in the quilting of each bit of fabric — the hem of a christening gown, a snippet from a Halloween costume — Linda discovers that the memories of a shared journey can come together in a way that will keep them both warm in the years to come…. 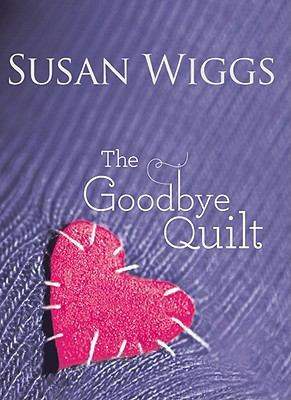 This is the first Susan Wiggs book I’ve read and I really enjoyed it. I picked it to read because I’m also sending my son off to college this fall and I wanted to see how this mom dealt with the leaving of her child and all the emotions that come with letting your child fly his/her wings on their own. Granted, my son will still be in state and not that far from me, but I will still miss him not being at home under my watchful eye and my heart has been full of emotions. I found the characters to be well-written and easily relatable. On the whole, it is a quick and enjoyable read, and I believe those who appreciate introspective, emotional fiction will really love this book. This book brings out that part of us “moms” that we all have to grapple with – our children leaving home for college and having to deal with that empty home. . . . Who are we now that it is 18 years later, many trials, drama, and episodes of life later- will we be happy with ourselves and who we have become? I know my son will be ok. And, I know I will be ok too. It’s a nice easy summer read. 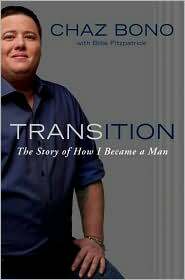 Transition: The Story of How I Became a Man is more than the story of Chaz Bono’s transition from a woman to a man; it is a memoir of his life beginning in the early 1970s as a little girl appearing on her parents’ Sonny and Cher Show. Over the course of 40 years, Chaz faced many obstacles, including physical and sexual abuse, loss of his partner to cancer and his father to a skiing accident, prescription drug addiction, and throughout his life, confusion about his gender. As a child, Chaz dressed in boy’s clothing and rough-housed with her father who accepted her as a tomboy. As a teen Chaz saw a film that brought her to the realization that she was gay. Over time, into her 30s, she realized that she wasn’t gay at all, but rather a man living in the wrong body. Chaz’s mother had never been thrilled about her daughter’s masculinity, and despite her difficulty with Chaz’s transition, he portrays her as a loving mother who remained cool in a crisis and did what she could to help him. In 2009 Chaz started his transformation by having his breasts removed and taking testosterone shots. He explains in detail the physical and mental changes he experienced during this time. He also talks about the social adjustments he had to make as a man, such as using the men’s restroom and shaking hands with another man instead of hugging. Chaz’s honesty and vulnerability in telling the story of who he was and has become made this a fascinating read. This book should be read with an open mind and compassion for the GLBTIQ (gay/lesbian/bisexual/transgender/intersexed/questioning) community, as well as patience for typos! A documentary about Chaz’s transition — called Becoming Chaz — was shown at the 2011 Sundance Film Festival and aired on OWN, the Oprah Winfrey Network, in May 2011. I’m not sure why, but this book was recommend, was on my “To Read” list, and since it had summer in the title I thought I would give it a try. 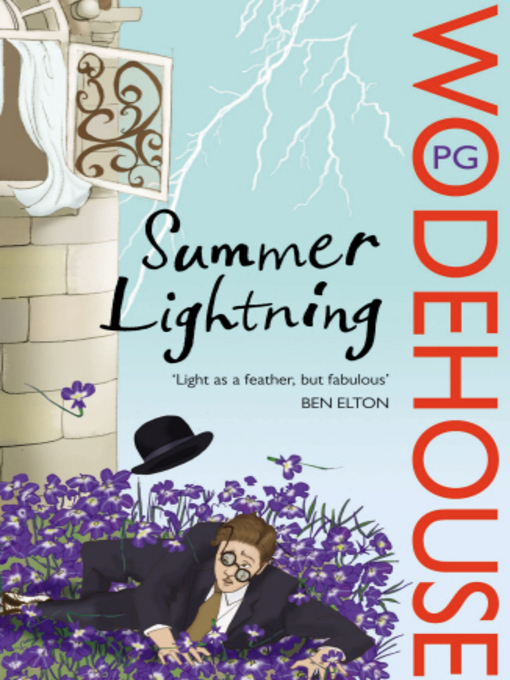 Written in 1929 and set in London and in the country at Blandings Castle, Summer Lightning is like reading the script to a 1930’s screwball comedy. It is filled with mistaken identities, missing pigs, a funny butler, and very “witty” dialogue. I didn’t realize while reading it but Wodehouse wrote many novels set at Blandings and was also responsible for the My Man Jeeves stories. I enjoyed Summer Lightning very much. It was a quick read because it is so full of dialogue, but sometimes I would go back and re-read spots because they were so funny. I would recommend it and might read some more in the series.